After four wonderful months of clear skin (I stopped using BP 3% in May and my skin cleared up beautifully!) I now face this beast of a break out. 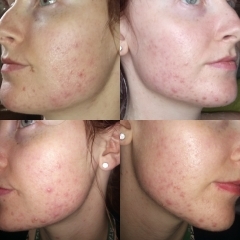 Its a lot worse than any other breakouts I've had over the past 11 years, and I am getting new types of spots that I've never encountered before. 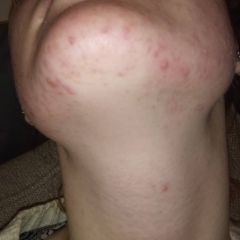 I thought I'd create an album for my own personal observations to see any changes, but also for any of you guys experiencing similar breakouts to follow along the journey. Clear skin for several months, using only jojoba oil and tea tree (on a circle pad and wiped over face morning and night). 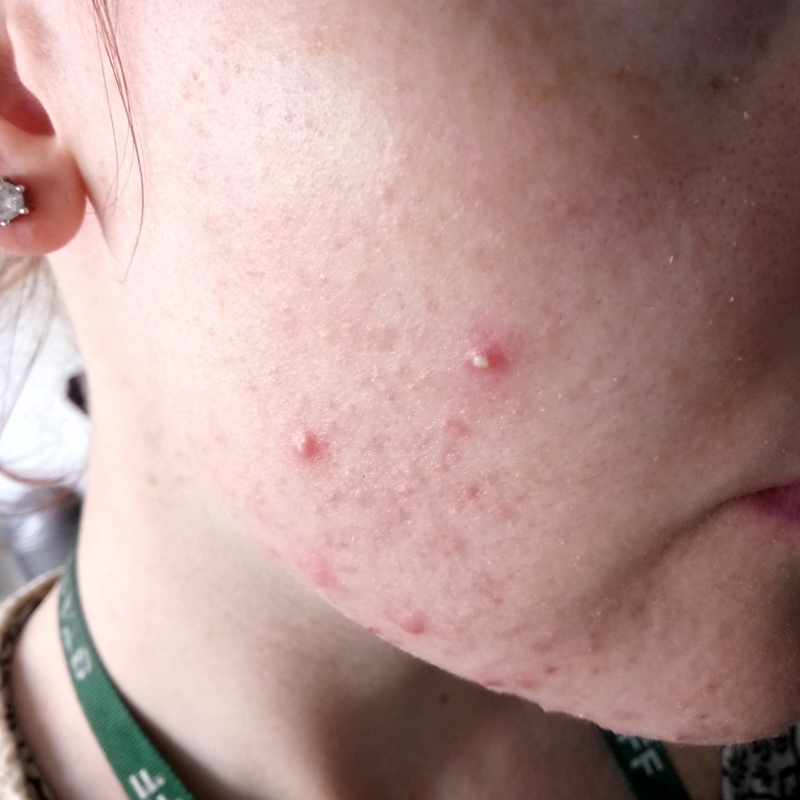 A week before I was due back to work after the summer, my face erupted into tiny bumps, you could only see them in certain lights. Now admittedly I was getting anxious about my return to work. I thought this could be relevant. The bumps have now spent the last two months evolving into this, no clear change with cycle, just perisitant. One spot goes down, two spots come up. Some are very painful, in particular along the jaw. I am having the odd spot appear on my forehead which is unusual and I am also developing painful spots on my shoulders and chest. I have upped my water intake and cut down on sugar. Dairy is minimal, but admittedly I could cut down on the cheese. Somehow, I don't think it's diet related. I have never had problems with any food before. Perhaps it's making it worse but I don't believe eating cheese a bit too much one week has decided to cause this. I am seeing Doc on the 10th Dec. Hoping I can get a Derm appointment from it. Never seen one but I think it's about time I knew the cause of my acne rather than smothering creams on it. This breakout seems concerning and I need to know what's gone wrong. So without further ado, let the journey, once again begin.